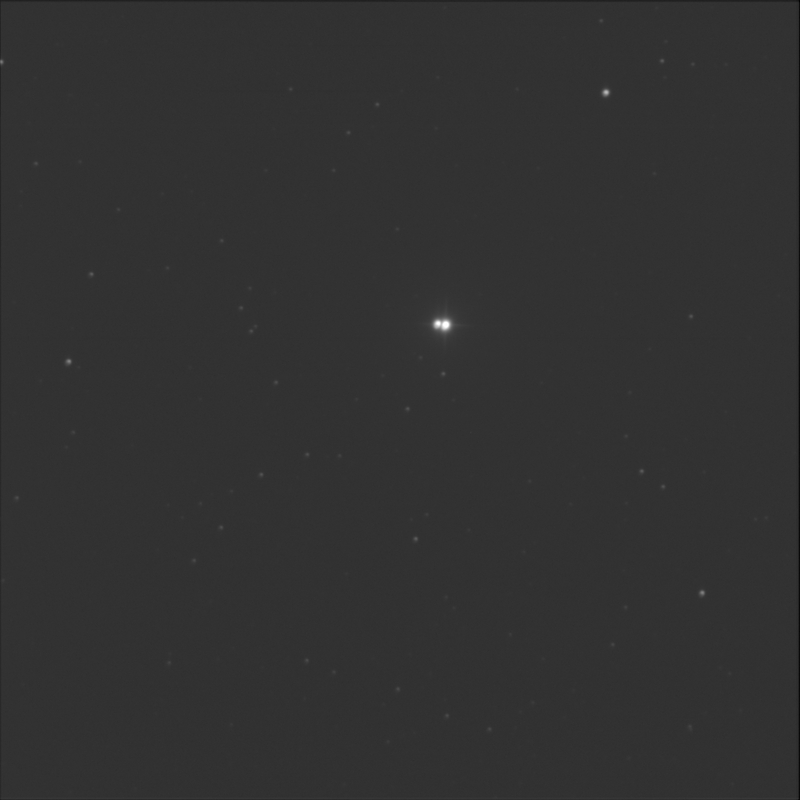 The Burke-Gaffney Observatory imaged HR 890 (aiming at GSC 03322-1203). 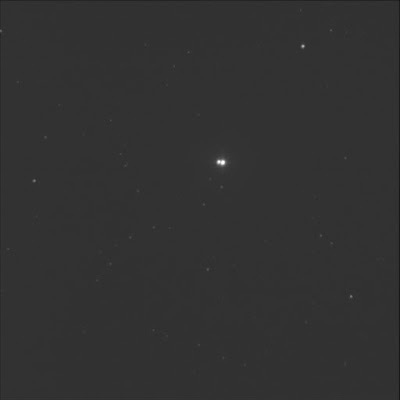 A double-star in Perseus also known as STF 331. It is on an Astronomical League list as well as the Coldfield beautiful doubles. Sissy Haas calls it a showcase pair. Tight pair oriented east-west with the primary to the west. I estimated the separation at about 10 arc-seconds (SkyTools says 11.9"). I estimated the Δm to be about 1 or 1½ (ST3P said the mags were 5.2 and 6.7). Quickly processed in Photoshop in full colour. Discovered stacking errors in the green data unfortunately. The HR 890 stars are intense white-blue. They appear the same in Aladin with the DSS Colour data. Lovely. The dim star to the far east is pale orange; the brighter star far to the north-west is also white.